Relationships: Is Bad Credit a Deal Breaker for You? Recently, I read an article on CNN Money about a new trend in dating: Checking a potential partner’s credit score before getting really serious. When my husband and I married almost 12 years ago, we didn’t have a credit discussion. I told him about my student loans and credit card debt, and he told me about his car loan and student loans. We merged our finances, and never looked back. Perhaps it wasn’t the smartest way of doing things, but we were roughly even with our debt, and we knew we were going to combine everything, so we just did it. The good news is that, even though we both had debt, we later realized that both of our credit scores were pretty good. And, since then, our credit has always been good. My husband and I probably weren’t in the minority 12 years ago; I doubt many young couples had the “money talk” back then. Now, though, the money talk is fairly standard. And it’s about going deeper than just debt and spending priorities. Many people want to know about another’s credit score specifically. And if you have bad credit, your potential partner may decide to walk. Even though the number of people claiming that credit score is important, it’s far from a true deal breaker for the majority of couples. According to the CNN Money article, only 30% of women and 20% of men say that they wouldn’t marry someone with poor credit. That’s a pretty significant chunk, but it’s far from a majority. Ability to get loans later: Do you want a potential partner dragging down your credit? In common property states (in the United States), your partner’s credit score becomes yours. Even if you can get credit on your own, without your partner, there are still concerns that your borrowing power is reduced when your partner has poor credit. Concerns about future finances: Are you going to have to bail your partner out of financial trouble? Adding your name to your partner’s debts can put you on the hook for them. And what happens if your partner doesn’t mend his or her ways and ends up getting in deep later? Is that a risk you want to take? 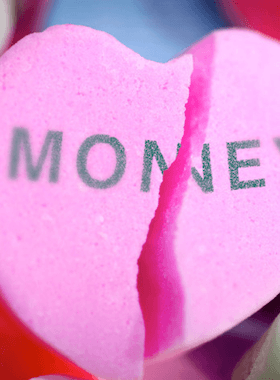 Fights about money: When one partner has a dismal financial situation, it can lead to fights about money, and even lead to resentment. Differing priorities can also cause tension in a marriage. One of the reasons that some dating partners want to know about a potential partner’s credit score has to do with the same reason a lender wants to know — it’s a fast way to get an idea of what a person’s finances look like. A credit score offers a quick look at your financial situation. Whether it’s fair or not, your level of financial responsibility is judged by your credit score. A good credit score is often seen as a sign that you are a good financial manager, and poor score instantly indicates to others that you have money problems. You might have extenuating circumstances, but some potential partners (like lenders) don’t want to take the chance. You don’t have to dig into a potential partner’s credit history immediately, though. According to the CNN Money article, only 1% of people discuss credit scores on a first date. It makes more sense to delve a little deeper into the finances as milestones are reached, like before you commit to “take it to the next level” or before you move in together. What Do You Think? Would You Marry Someone with Bad Credit? My situation turned out ok. My husband doesn’t really care to handle money, and I do most of it. We’ve both always had good credit scores, and, even though our money priorities are sometimes different, we manage to work it out. I don’t know what I would have done if my husband ended up having poor credit. It’s a decision I’m glad I didn’t have to make. What about you? Would you break up with someone over his or her bad credit? I would say severe debt would be more of a problem than bad credit.Bad credit card be fixed with a few simple things depending on if your problem is late payments or your debt to credit ratio. I would want to know what their credit/debt history told me about that person. Dr. Phil would say the best predictor of future behavious is recent past behaviour. That said, debt and credit scores can be managed.